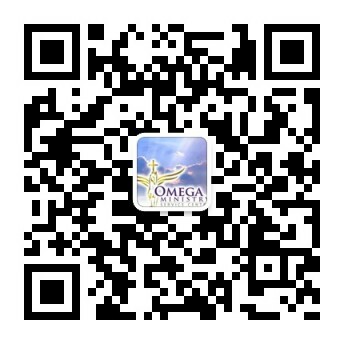 Disclaimer: Please cite Omega Ministry www.omegaministryorg.com as the original source when sharing. 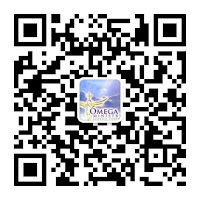 You are welcome to share any articles in Omega Ministry, but the copyright belongs to Christ. Please do not alter the original content. Feel free to leave us a message if you need further assistance. Thank you. Dear brothers and sisters, peace be to you. For three nights in a row from September 21 to 23, I had the same dream. The dream was about a particular group of people, those who were chosen to form the Rule All the Nations with an Iron Rod intercessor team, i.e., it was about you. I saw the following in the dream: I was wearing a dark blue armour, and fully dressed in military uniform. There was a long robe on the outside, and the armour on the inside was like a scale armour made of bronze, every piece was tightly held together. This outfit belonged to a certain military rank. The boots were of the same colour and style, and were set with jewels. There were also jewels on the breastplate and around the waist. There was a sword on the back. I saw myself standing in a certain place. There was already a boy about 4 to 5 years old on my right side. He was wearing a military uniform of the same colour as mine, except that it had no rank. It was very clear to me in the dream that it represented the current state of Omega Ministry. In the dream, there was another male infant born not too long ago. He was held by my left hand, laid on my left shoulder. He was only one to two months old, yet his hair was somewhat longer than those of his age. Even though he did not have a rank, he was born in the same military uniform as mine. The dream mentioned that this infant represented another group of people. Suddenly he seemed not feeling very well. In the dream I felt that his immune system was a bit weak, and his health was somewhat fragile, as if he needed special care. I was thinking what I should feed him to make him stronger. In the dream, the Holy Spirit said I needed to train this group of people, so that they could go to the battlefield and fought against enemies. When they grew up, they would be conscripted and be deployed. When I woke up and prayed in the morning, I received from the Lord immediately that this infant represented you (the group), just born not too long ago. This was what I received regarding you, praise God! To dream of you in such special days. Coincidentally, during the days in which Revelation 12:1–6 was fulfilled in the heavenly signs, I was inquiring God of His will to me, and I had this dream three times in a row. I believed God was talking to both you and me through this information. I believed that God had chosen you to become a group of powerful overcomers, vanguards, and brides in the end-times; to take part in God’s assignment to the overcomers in the end-times in Revelation 8:3–5, “Another angel came and stood over the altar, having a golden censer. Much incense was given to him, that he should add it to the prayers of all the saints on the golden altar which was before the throne. The smoke of the incense, with the prayers of the saints, went up before God out of the angel’s hand. The angel took the censer, and he filled it with the fire of the altar, and threw it on the earth. There followed thunders, sounds, lightnings, and an earthquake” (WEB). To work with God on earth during the great tribulation: the prayers of the saints will release judgment to this world and the empire of Antichrist, to counter Antichrist’s persecution against the saints during the great tribulation. I saw thrones, and they sat on them, and judgment was given to them. I saw the souls of those who had been beheaded for the testimony of Jesus, and for the word of God, and such as didn’t worship the beast nor his image, and didn’t receive the mark on their forehead and on their hand. They lived and reigned with Christ for a thousand years (Rev. 20:4). I had already talked about the number of Male Child in another prophecy that we had published. However, there were a group of overcomers who had received authority from Christ. This was one of the things that belonged to the theme of Rule All the Nations with a Rod of Iron: the smoke of the incense, with the prayers of the saints, went up before God out of the angel’s hand, and then the angel took the censer, and he filled it with the fire of the altar, and threw it on the earth. There followed thunders, sounds, lightnings, and an earthquake. A great sign was seen in heaven: a woman clothed with the sun, and the moon under her feet, and on her head a crown of twelve stars. She was with child. She cried out in pain, laboring to give birth. Another sign was seen in heaven. Behold, a great red dragon, having seven heads and ten horns, and on his heads seven crowns. His tail drew one third of the stars of the sky, and threw them to the earth. The dragon stood before the woman who was about to give birth, so that when she gave birth he might devour her child. She gave birth to a son, a male child, who is to rule all the nations with a rod of iron. Her child was caught up to God, and to his throne. The woman fled into the wilderness, where she has a place prepared by God, that there they may nourish her one thousand two hundred sixty days (Rev. 12:1–6). These days we have been talking about the fulfilling of Revelation 12 by the heavenly signs on September 23. We are excited that the day of the Lord coming back is getting closer, a new season is about to begin. We are even more excited that in this season, there are overcomers being raised from among us to enter into the season of “Rule All the Nations with an Iron Rod” that God has opened. We are living in an age of the extremes, an age of the good against the evil, the conflict between Ishmael and Isaac, between Esau and Jacob, between the body of the Antichrist and of the Christ, between the kingdom of darkness and of God. I am not sure whether you are aware of it or not, but no matter where you are, you will always run into this conflict. Last week I ran into a friend whose child wanted to commit suicide. The child came from a very good family, but the parents were not around… Finally the child was saved from the darkness. It was only a matter of just a single thought. This is a clear example of the confrontation between the kingdom of darkness and of God. I will tell of the decree. Be instructed, you judges of the earth (Ps. 2:1–10). Nations are God’s properties. He will give the inheritance of the nations to His children. We are fighting for our inheritance, to repossess from the enemy what God originally intends to reward us with. Can you understand? The millennium is coming! Your land is still in the hands of your enemy. For example, this house is the legacy left by your ancestors, and you have the deed of land. Now comes a bully and occupies your house. Will you bind the strong man and reclaim the inheritance that you are supposed to have? Or will you become a homeless and abandon the house? The birth of the Male Child is to counter the kingdom of the Antichrist, to crush the doors and bolts of the enemies, and to rule the nations with authority. “She gave birth to a son, a male child, who is to rule all the nations with a rod of iron. Her child was caught up to God, and to his throne” (Rev. 12:5). Notice the tense. The Male Child engages in battles with the principalities and dominions of the world in the spiritual realm, to eliminate their stalling of God’s blessings for this generation. 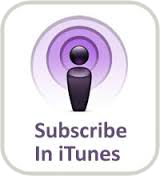 The spiritual battles will affect different aspects of the physical world. Targeted operations against Beijing were carried out on August 1 and 2: the powers of Beijing’s nine dragons. God had promised, “Within three days, rainstorm would come to cleanse this land. Within seven days, great shaking would be seen all over the nation. This is to prove that certain authorities in the kingdom are reclaimed.” Indeed, rainstorm cleansed Beijing on August 3, 2017. In the physical world, on August 7, which was the seventh day after the power of Tibetan Buddhism in Yonghe Temple was dealt with on August 1, there was a 7.0-magnitude earthquake in Aba (Ngawa Tibetan Prefecture) in Sichuan province. The powers of the remaining two dragon sons were dealt with on August 2, the second day. Coincidentally, on the seventh day, which was August 9, there was earthquake in Xinjiang and South China Sea. After Bi’an, the seventh dragon son, which represented the power of the unjust military court, was defeated in Yonghe Temple, changes in the military occurred immediately: the entire Central Military Commission was dismissed and re-elected. After Qiuniu, the first dragon son which represented the dark powers of the entertainment and arts industry, was defeated, changes in the physical world were immediately seen on September 22. China Alliance of Radio, Film and Television and several other departments jointly issued Suggestions on the Cost of the Proportion for the TV Drama Network Production. In order to suppress the exorbitant asking prices from the actors, the total amount paid to all actors must not exceed 40% of the cost of production. Indeed, rainstorm, floods, and hailstorm appeared at the same time in the four provinces of Hunan, Guangxi, Guizhou, and Yunnan from August 12 to 16. The rock quarry in Longshengzhen, in the county-level city of Beiliu, in the city of Yulin, Guangxi, was attacked by whirlwind on August 23. Landslide occurred in the county of Nayong in the city of Bijie on August 28. When the illegitimate powers were defeated, the impact was immediately reflected in the physical world. The curses on finance in the relevant regions were released. Multimillion dollar investment in developing the Guangxi Beibu Gulf Economic Zone was announced on August 19. On August 23, Sichuan rolled out the second set of provincial PPP (Public Private Partnership) demonstration projects with an inflow of 36.5 billion RMB. Sichuan expedited the development of the three new railroads. On August 25, Wuhan, the capital of Hubei province, announced a project valued at 250 billion RMB. Merchants in the Pearl River Delta invested 398.4 billion into Hubei. When the illegitimate powers were defeated, the impact was immediately reflected in the physical world. The political world in Shenzhen was shaken. A new mayor entered into service on August 23, and the political landscape in Shenzhen was impacted. Shenzhen Stock Exchange halted trading on August 24 and 25 due to up-limit hits. On September 11, 2017, Shenzhen was included in the Guangdong-Hong Kong-Macao Greater Bay Area, aiming to be the fourth largest bay area in the world. Targeted operations were carried out against Taiwan August 27 to 29. The powers of paramecium in the coastal areas of eastern, western, southern, and northern Taiwan, as well as the surrounding 14 counties were defeated. God promised, “Rainstorm will come and cleanse this land in three days.” Indeed, rainstorm occurred in Hsinchu, Pingtung, and Taipei on September 1. After the powers of the dual dragon (usually leading to two similar shakings) in Sun Moon Lake and the powers of tiger on the mountain range were defeated on September 5 and 6, God promised and the Holy Spirit revealed, “Seven days will be the sign. Rainstorm, typhoon, and earthquake will prove that we have surely captured the spiritual territories relevant to the Taiwan region in the spiritual realm.” Indeed, on September 13, seven days later, typhoon Talim landed on Taiwan. Two 7-day periods later, there were two earthquakes in the Taiwan oceans on September 18 and 20. Rainstorm cleansed Taiwan on September 4, 2017, including the 14 counties that had to do with us. Thunderstorms occurred in 14 counties in Taiwan. At midnight on September 7, the spiritual powers in the Pacific Ocean were defeated, causing changes and shakings in the physical world. Mexico was struck with a 8.4-magnitude earthquake in the afternoon of September 8 (Beijing Time), and a 7.1-magnitude earthquake on September 20. Two 7-day periods later, from September 21 to 22, 2017, severe earthquakes rippled through countries including New Zealand, Mexico, Japan, Vanuatu, and Indonesia. A 5.5-magnitude earthquake happened in Japan. Vanuatu was struck with a 6.4-magnitude earthquake. We are waiting for and hoping for the revival and turnaround of the hearts in the places mentioned above. While the testimonies are yet to come, God has already hastened the fulfilling this prophecy. This is only the beginning of the theme of “Rule All the Nations with an Iron Rod”, and of the coming of the days countering the Antichrist. All these things that are seen and have occurred are just what Revelation 8 has described, “Another angel came and stood over the altar, having a golden censer. Much incense was given to him, that he should add it to the prayers of all the saints on the golden altar which was before the throne. The smoke of the incense, with the prayers of the saints, went up before God out of the angel’s hand. The angel took the censer, and he filled it with the fire of the altar, and threw it on the earth. There followed thunders, sounds, lightnings, and an earthquake” (Rev 8:3 –5). Rule with an iron rod: Given to the Male Child (overcomers) for the purpose of ruling the nations and countering the kingdom of the Antichrist. Clay pots: Refers to the nations, with God ruling mankind, and morning stars given to a group of overcomers. 1. Jesus Christ. Coming back to the old home for the sake of love, to receive the bride, to overturn the unrighteous thrones, to judge this defiled kingdom — the kingdom of Antichrist. 2. The Male Child and the overcomers will work with God on the earth to counter the Antichrist’s persecution of the saints during the great tribulation. They will be a group of overcomers, filled with power, among the Church that has become the Bride. During the great tribulation, they will work with God on the earth. The prayer of the overcomers (saints) will bring judgment against the world and the empire of the Antichrist, in order to counter the Antichrist’s persecution against the saints during the great tribulation. 3. God will give to the Male Child the authority to conquer the nations — the authority that has given Jesus everything in heaven and on earth, and the authority to rule over all created things including kingdoms, and the authority to rule the nations in the spiritual realm. 4. To fulfill the calling of the Male Child and the overcomers. They are in the position of Esther (the position of the bride) because of their intimiate relationship with God. The extent of the authority you have depends on whether you are in the position of Esther (the position of the bride) or not, and your intimate relationship with God. The overcomers in the end-times are being raised up. This group of people have an intimate relationship with God, they can already touch God. Even though they are living on the earth, they are ruling this land with the Creator. The world might not know them, but they rule in the heavenly kingdom. Their decisions can impact the course of a nation in the spiritual realm, and cause changes in the physical world. Genesis 18:17 recorded God’s words as such, “Yahweh said, ‘Will I hide from Abraham what I do?’” God discussed with Abraham because He regarded Abraham as a friend. Today, God is also challenging us to become His friends. He does not desire any secrets between you and Him. “‘Surely the Lord Yahweh will do nothing, unless he reveals his secret to his servants the prophets’” (Amos 3:7). Do not look down on yourself. God did not use the well-knowns in the end-times. God is doing a new thing, raising up a multitude of nameless brothers and sisters. It is our choice to be an overcomer or not. It all depends on your willingness.